Vietnam’s Committee for State Capital Management (CMSC), known as the Super Committee, made its debut on September 30. It will manage 19 State-owned economic groups and corporations. 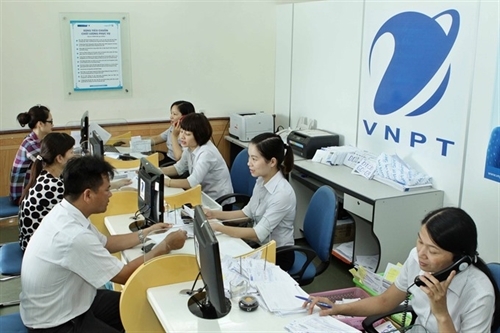 According to consolidated financial statements as of December 31, 2017, the total value of State equity at these 19 groups and corporations reached more than VND 1 quadrillion (USD 43 billion) and the total value of assets was VND 2.3 quadrillion. According to the 2018 decree guiding its establishment, the Committee is responsible for managing State capital at the enterprises where the State holds a 100 percent stake and at joint stock companies and limited liability companies with multiple members where the State have invested its capital. Topping the list is the State Capital Investment Corporation (SCIC) under the management of the Ministry of Finance. The remaining 18 SOEs are managed by four ministries, including the ministries of Industry and Trade (MoIT), Transport (MoT), Agriculture and Rural Development (MARD), and Information and Communications (MIC). Most of the names on the list are enterprises under the management of MoIT and MoT, comprising of six groups and six corporations. At the launching ceremony, the Committee and these five ministries signed memoranda of understanding (MOU) on the transfer of the rights of State representatives at these aforementioned enterprises to the Committee. Addressing the ceremony, Prime Minister Nguyen Xuan Phuc said improving the efficiency of the use of the State capital, thus enhancing the competitiveness of the whole economy, was a basic requirement to boost the role of the State sector. “This is the reason for the establishment of the Committee for State Capital Management,” he said, emphasizing the great expectations of not only the Government but the public on great changes in the thinking and governance of the Committee. The Prime Minister said these enterprises are at the core of the economy. “The Committee must work to overcome the weakness and create a big difference to the State sector and each enterprise to increase its efficiency,” he said. The Prime Minister requested the Committee to quickly strengthen and streamline its operations. It needs to set objectives and indicators to evaluate the effectiveness of each department and staff. Phuc also required the Committee to reinforce its accountability and build the monitoring mechanism for representatives at these enterprises to limit the loss of State capital. Each department in the Committee should have a measure of its performance and improvement each year, he said, and added that the Committee and its subordinate units must apply state-of-the-art technology in governance. He requested the Committee after one year of operation to evaluate its progress towards “contributing to growth, employment and State budget, and moreover to develop a fair and equal playing field for all economic sectors”. He asked relevant ministries and these State enterprises to coordinate with the Committee to carry out the transfer immediately, without affecting the management of State capital and equitization process of State-owned enterprises.